At the eve of the coming New Year 2014 or right now at the year ending of 2013, it is most likely that speed in the digital world is going to be a much awaited issue. Whether you work with a Mac or a PC, a range of brands have launched latest storage devices that will store up to 1 Terabyte of digits and gift you a still more easier digital life with portability and many more benefits. Here the top few brands which has rocked the market with their high capacity devices. 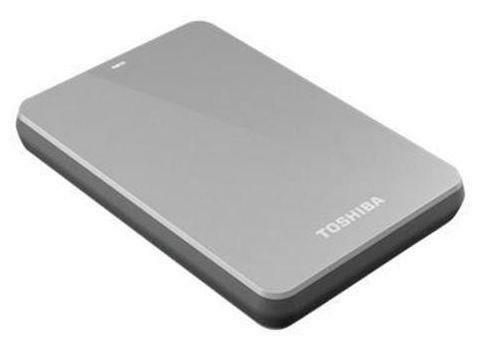 Toshiba Canvio 1TB Portable External Hard drive USB 3.0 is powered by USB 3.0. Enjoy mobile storage space now for the largest digital libraries at your own disposal. 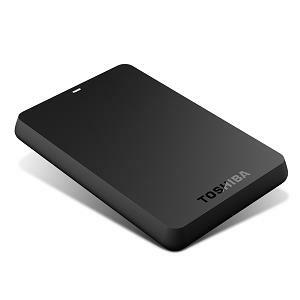 It is a 1TB1 drive that can store up to 285,000 digital photos or you can have 263,000 digital music files or can download 820 digital movies. It is certified to work with Windows® XP, 7 and Vista. For Mac one has to load either Mac OS® X Tiger®, Leopard® or Snow Leopard™, in that case reformatting will be mandatory. Features of USB 3.0 include transfer of large media files in no time, backward compatibility with USB 2.0, Anti-slip and Compact design for easy portability, with pre-loaded software you can get full system backup and recovery of movies, pictures, and music files and folders with a single click of Restore button, a Complete System Backup is possible by copying of everything on your computer - including the Operating System. If you are all messed up, there is the Disaster Recovery system. Just Boot the drive and you can restore the entire system. To secure your system, back it up with a password (Data Encryption up to 256-bit). It allows customising the schedule and back-up preferences. It has a built in alert to let you know when the back-up space is insufficient. Its ramp loading technology and internal shock sensor protect your data and drive. Seagate brings you Backup Plus, the exquisite range of external drives that with which you can do more with photos and movies, protecting everything that your digital life contains and managing it singularly from an intuitive dashboard. You have two easy backup options, automatic or scheduled. You can save, share and upgrade your photos, videos automatically on social network sites. Your connection can also be upgraded with the help of swapping adapters. Its sleek, portable design keeps your stuff safe anywhere. You can use it interchangeably on your PC or on your Mac computer without pushing reformat button. It also allows easy up-gradation to FireWire® 800 or Thunderbolt™ technology with add-on adapters. USB 3.0 is also backward compatible with USB 2.0. Protecting photos, videos, and more is always assured. Share your photos and videos to the social network sites straight from your Backup Plus and set your memorable moments free from captivity. BUFFALO DriveStation Axis has in its wings a 1TB of single-drive USB 3.0 storage. It has proved itself to be a grand backup solution compatible for both PC's and Mac's. With extremely fast file transfers and with a high-speed 7200rpm HDD, it can be stacked horizontally saving your desktop space. 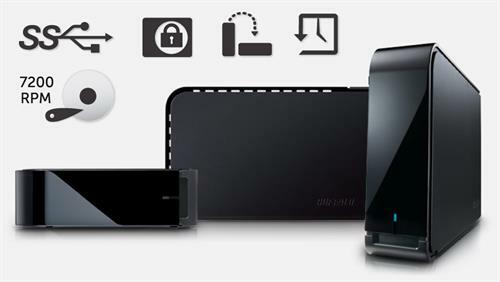 It expands storage transferring and storing digital content in one go without any hazard. BUFFALO Backup Utility is always a good selection to schedule backups regularly for your computer. It's Eco Manager is an energy friendly device that consumes lesser power and disconnecting the power connection when not in use. The RAMDISK is an environment that creates a RAM disk on their PCs for the Windows users. It works extremely fast while working on files. There is this SecureLock software for Windows that gives complete control on the data encryption on your BUFFALO external hard drive, with password protection and software data encryption. My Passport is a high capacity portable drive in a sleek state-of-the-art design. Its features include ultra-fast USB 3.0 connectivity with automatic backup software, password protection and hardware encryption to protect files from unknown users with ample space to stack up all your documents. WD's Automatic backup is automatic. Its continuous backup software protects your data with minimal usage of PC resources. With every addition or change of a file, it gets instantly backed up. 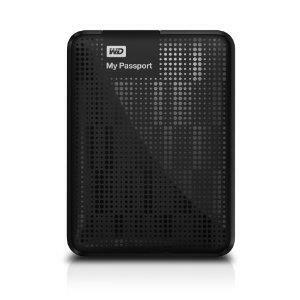 Within a high capacity compact drive, My Passport works with loads of videos, photos, music, and files protecting and carrying them on the move. WD Security sets up the password protection and hardware encryption and protects your files from unauthenticated use or unknown access. While connected to a USB 3.0 port, My Passport gives you access and save your files in ultra-speed. It reduces transfer time compared to USB 2.0 transfer rates almost up to 3 times. WD's single drive you get compatibility with your USB 2.0 devices and get an ultra-fast speed of USB 3.0 when you're need to move towards the next generation. Knowing the importance of your data, we make inside the drive those components that meet up the demanding requirements for shock tolerance, durability, and long-term reliability. Hereafter we concentrate on the protection aspect of the drive with a durable enclosure which is specially designed for protection and style. It is an ideal device for transferring files in a whizzing speed with USB 3.0. 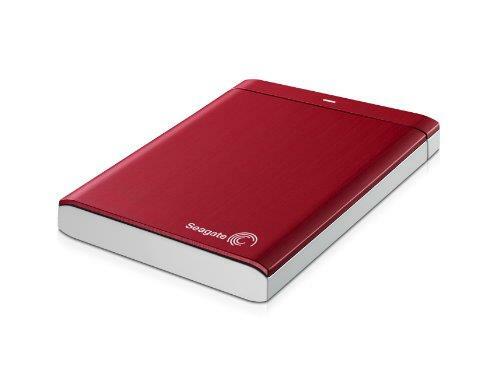 It has got a portable hard drive, USB cable, User manual and it is compatible with formatted NTFS for Windows XP, Windows Vista, or Windows 7 and 8 though it requires reformatting for Mac OS X Leopard or Snow Leopard, or Lion. Canvio 3.0 Plus products have always been manufactured and crafted to maintain pace with Toshiba's high quality product standards, embedding the latest technology and user-interface. It ensures the best-in-class quality, stability and performance. With Toshiba's Canvio 3.0 Plus Portable Hard Drives, you'll get to use that amount of portable storage space which can embrace even the largest digital libraries. Canvio 3.0 Plus 1.5TB1 Drive has the capacity of storing up to 428,000 digital photos, or you can listen to 394,000 digital music files, or go ahead with downloading 1230 digital movies. Each of the Canvio 3.0 Plus Portable Hard Drives include an internal shock sensor along with a ramp loading technology that guarantees to keep your drive safe from external hazards.